The conservative Law and Justice (PiS) party, in the minority for eight years, is heavily favored in Sunday’s parliamentary elections after its Andrzej Duda gained the presidency last May. What does it mean for Poland? In the last year even casual observers of the Polish political scene have seen a shift among its main players. This was underlined by the election of Andrziej Duda of the far-right Law and Justice (Prawo i Sprawiedliwość, or PiS) party as president in a surprise vote against Bronisław Komorowski of the more moderate (Platforma Obywatelska, PO). Now, with the parliamentary elections only a few days away, many have predicted that PiS will come out on top—but where did this come from? For the longest time PiS’ image have been associated groups such as older people from small towns in Poland. However, Law and Justice’s message has started reaching younger groups for some time now. PO has reigned for eight years, which only makes people’s case for dissatisfaction with the party stronger. With a secret recording scandal and bribery investigations weighing down Ewa Kopacz’s government, it seemed all PiS needed to sway moderate voters was a bit of rebranding—largely consisting of their pushing Chrzanów MP Beata Szydło for prime minister instead of Jarosław Kaczynski, a divisive figure despite his role as longtime party leader. Alongside Duda’s election earlier this year came the first wave of new Law and Justice supporters spurred by the refugee crisis. 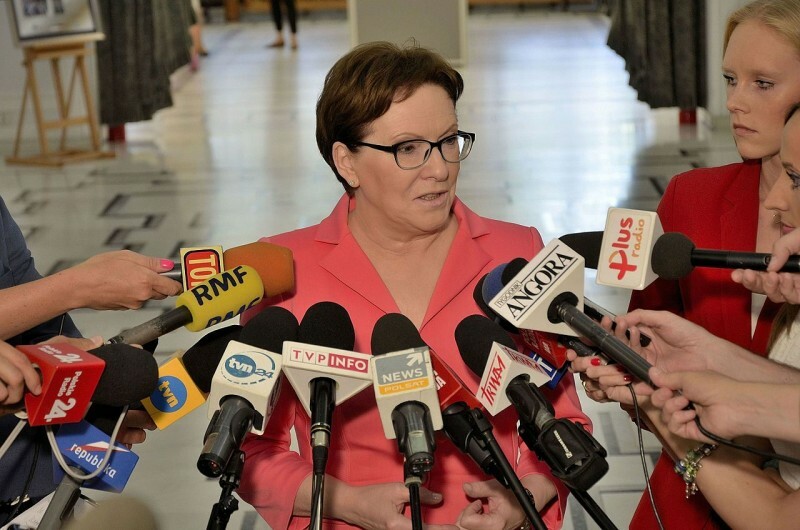 On a televised debate last Sunday, Kopacz defended Poland’s recent agreement to accept 5,000 more immigrants by arguing that the fight to lower the quota was a success in its own right. 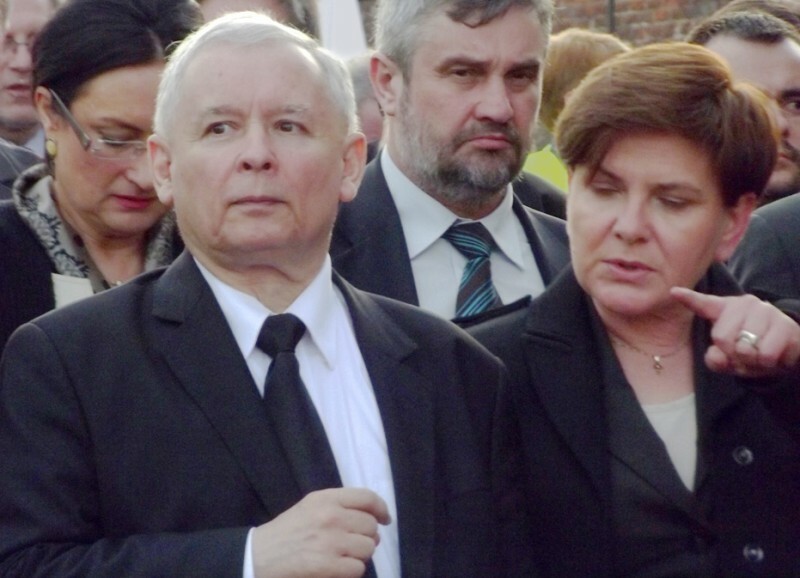 Szydlo, on the other hand, stated that only aid should be sent from Poland instead of hospitality. This struck a chord with many in Poland fearful of what letting refugees in could mean. For the past few months PiS have made it clear that they reject the idea of accepting any more, in even its most restrictive incarnations, and Duda himself has stated publicly his belief that they would “bring epidemics”. PiS has gained an edge with its economic plan as well. PO has upheld its previously announced reform, with a unified tax rate to include mandatory health care and retirement provisions. However, this plan has been criticized as vague and incoherent. Meanwhile PiS’ new plan focuses on decreasing taxes on small companies while also creating new taxes for banks and supermarkets. Both parties’ approaches aim to soothe voters’ frustrations that Poland’s increasing economic prosperity has failed to translate into meaningful changes in the everyday lives of its citizens, and a growing number feel that PO has squandered their chance. While these two parties have been going at each other, a few new parties popped up as well. United Left, a new incarnation of the Democratic Left Alliance (Sojusz Lewicy Demokratycznej, SLD) was established this summer from a coalition of SLD, Your Movement (Twój Ruch), and a few other parties after the liberals’ poor performance in the presidential elections. Led by computer scientist Barbara Nowacka, the party is pulling in close to 10% in recent polls, right behind PO. Modern (Nowoczesna) headed by Ryszard Petru, a noted economist, is similar to Palikot’s ‘Your Movement’ in its prime ideology: pro-European, liberal, etc. However, the party has come under fire for being dominated by Petru, who has no experience in politics. In addition, Paweł Kukiz’s eponymous Movement will also be taking part in the elections after surprising observers by netting 21% of the votes in the first round of the last presidential election, which put him in third place. 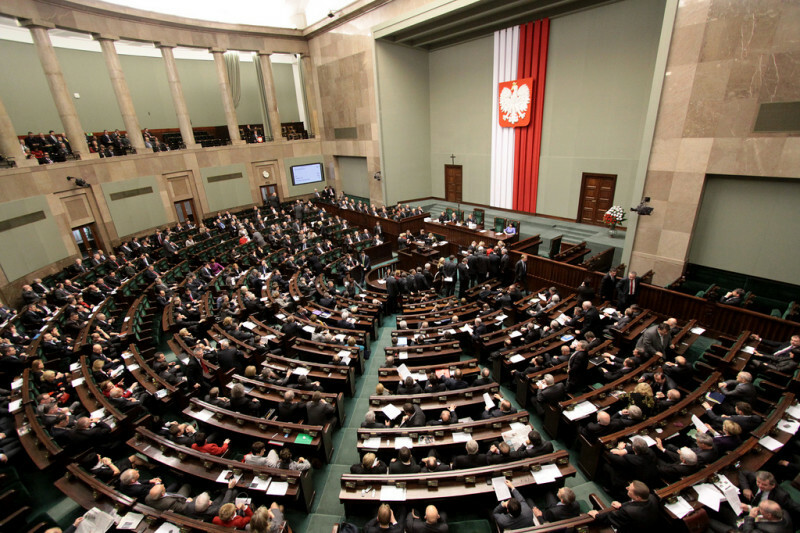 How would Poland fare for the next few years under PiS in parliament and a PiS president? The chances of them bringing up the question of a new constitution is very likely. In the last elections PiS were very vocal on creating a Fourth Republic, insisting that the post-communist document drafted in 1997 was out of date and out of touch. Duda himself has brought the topic up, though without specifics on what he would consider worthy of altering. In order for the Civic Platform party to maintain power in the face of all the current polls, it would almost certainly have to get together a coalition of those mutually against Law and Justice. With an administration already accused of corruption and broken promises, this would likely lead to a weak and deeply divided government. More and more, though, it looks unlikely to happen at all. Duda is “far right” – ha ha ha ha. Wait, till Le Pen gets elected soon!